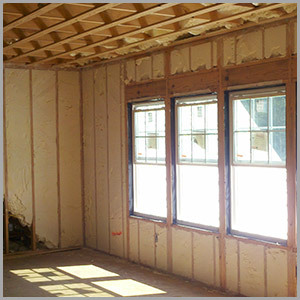 Spray foam is a revolutionary new product, offering superior insulation performance, while also providing a healthier, quieter interior atmosphere to your home or business. 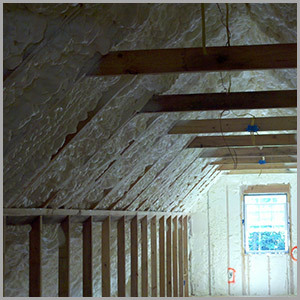 Spray foam insulation is healthier because it minimizes moister, which can contribute to mold and mildew in your home or business. 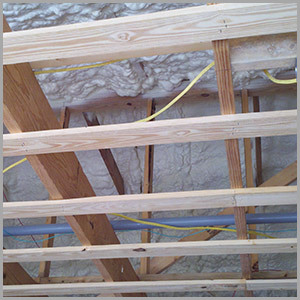 It is quiet because noise is generated by airflow through walls, floors, and ceilings and spray foam insulation minimizes this by minimizing the airflow through those weaker areas of a building. 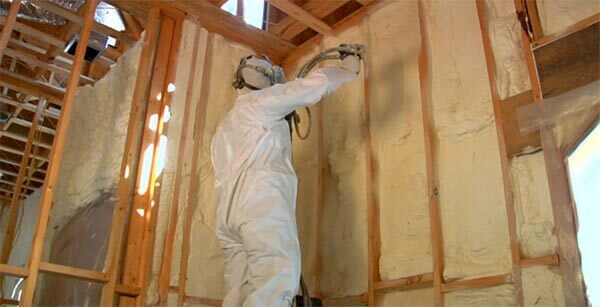 With spray foam, energy costs are reduced by up to 50% versus conventional insulation. On top of that, because spray foam eliminates random air leaks, you can heat and cool your home with smaller, less expensive equipment. 100% water-blown and environmentally-friendly, spray foam is sprayed into walls, ceilings, and floors, then expands 100 times its initial volume and cures within seconds. Once cured, the material remains soft and flexible enough so that it moves with the building substrate, leaving no gaps or seams that can compromise air tightness. 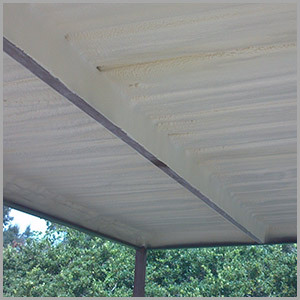 Additionally, as a complete insulation and air barrier, spray foam minimizes air leakage in the building structure, which allows for HVAC equipment rightsizing. This saves dramatically on initial equipment costs and ongoing utility costs – spray foam can save up to 50% every month in energy costs versus traditional energy options.